Easy to use, and well labelled controls Will show finger prints. 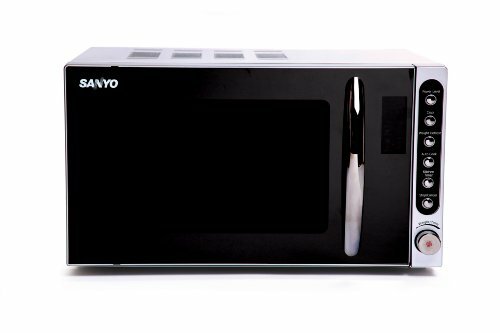 The Sanyo EM-S2297V is one of the few microwaves that Sanyo have on the market, featuring a 99 minute timer, as opposed to the 60 minute systems that most budget microwaves include. Finished in a glossy black and mirrored silver exterior, it looks smart, but may show fingerprints over longer periods of time. With an overall power output of 700w, it also feature a child lock to avoid accidents, as well as a modest 17 litre capacity. 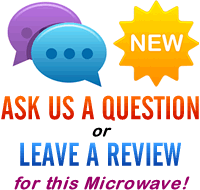 The six buttons are all well labelled, and provide an easy method of controlling the microwave - and as such this microwave will be ideal for the elderly. The display is pretty clear too, even in bright kitchens, and overall this machine performed well during the test period. It's not particularly subtle, with it's shiny texture, however the EM-S2297V performs well and seems to be well built. Overall a well thought out microwave from Sanyo. Very easy to use, and looks good. Once started how do you stop the timer ? It’s a while since we’ve used this model, but from the photo I imagine the “Stop/Cancel” button on the right hand side will achieve this?